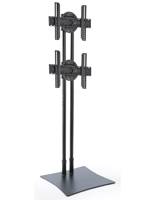 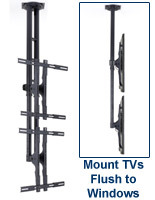 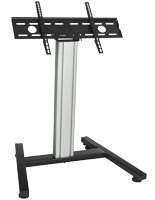 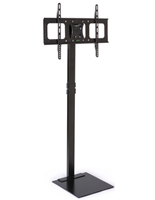 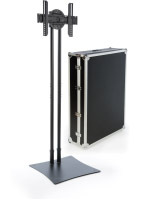 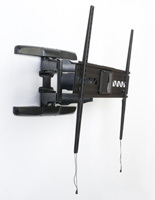 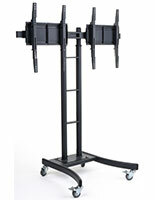 Need a holder for a sizable digital advertising display? 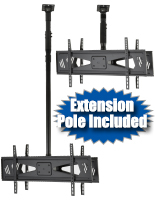 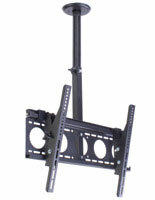 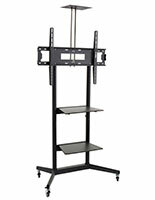 These TV stands for extra large screens are great for displaying flat panels that measure 65" or more. 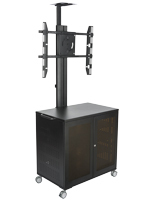 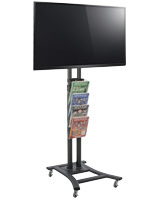 Retail stores can use the monitor fixtures to feature their wares and services with dynamic advertisements. 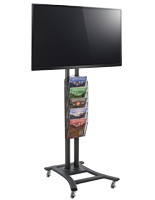 Whether they're placed on the floor or mounted to walls or ceilings, the TV stands for extra large screens can be an instrumental part of a business' promotional display. 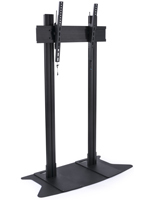 These holders make ideal tools for trade show exhibitors because they can attract passersby to booth from a distance. 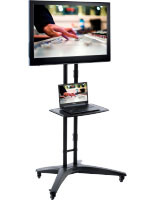 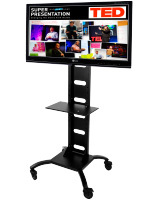 The TV stands for extra large screens are also excellent for conference rooms and lobbies in offices where they can give presentations to both employees and visitors. Schools and universities can also make great use for the fixtures, either placed in communal halls or in the classroom. 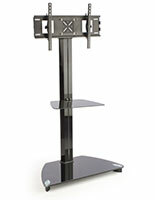 Each of the TV stands for extra large screens is made of strong metal, such as aluminum and steel. 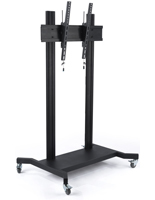 This sturdy construction allows the units to hold heavy electronics while also keeping them stable in high traffic environments. 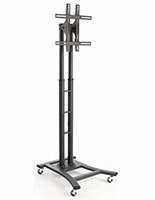 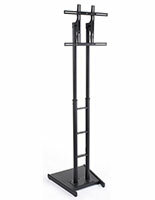 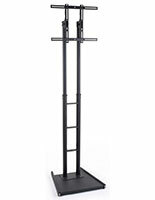 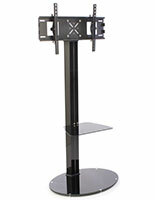 Offered in a wide variety of designs, the displays come in floor standing holders in addition to wall and ceiling mounts. 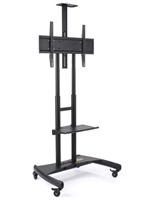 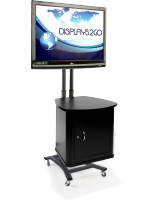 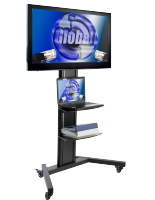 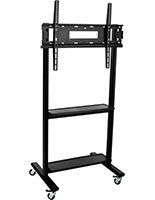 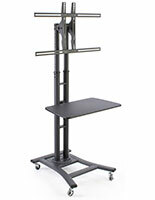 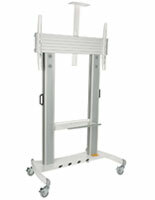 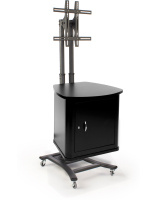 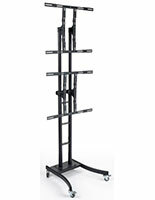 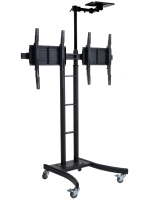 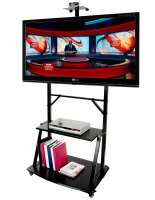 Some TV stands come with wheels that give them extra portability, ideal for switching rooms in an office or school. 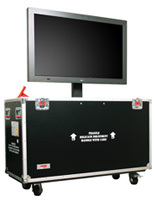 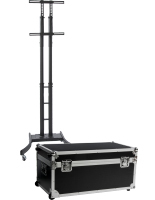 Many of the models come with a carrying case for bringing to commercial events like trade shows. 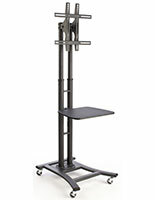 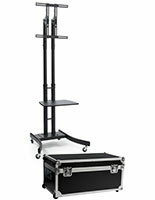 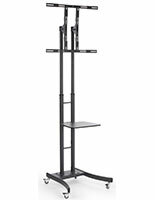 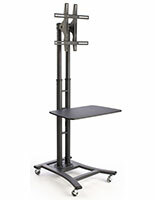 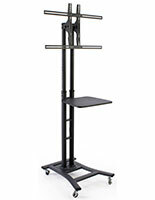 In addition, many of the floor standing fixtures come with a shelf for holding media devices like laptops and Blu-Ray players. 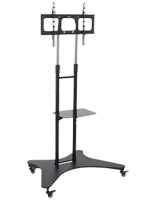 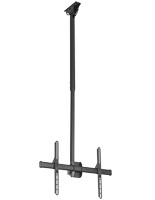 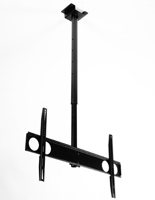 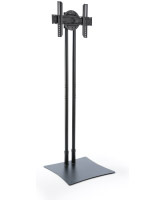 Our selection of flat panel stands comes in neutral colors like black and silver to match any interior's décor. 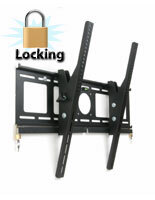 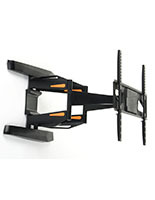 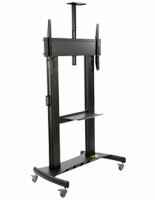 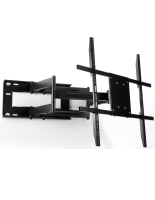 Buy on TVStandsOnly.com and get bulk pricing and fast shipping on all of the items shown here.